Follow Leaky on our social media! The Leaky Cauldron, www.the-leaky-cauldron.org, is an all-purpose site for the Harry Potter / Wizarding World enthusiast. It started in 2000 as a badly designed one-page roll of news; it has now turned into a destination for fan entertainment and discussion, and has become the Harry Potter site of record, hosting the oldest and most comprehensive Potter news archive on the Web. The Leaky Cauldron also hosts the entire Floo Network, including the Harry Potter Lexicon and Accio Quote. These sites are hosted at no cost to their individual webmasters, and have been since the Floo Network’s conception. The Lexicon has now moved to its own server, and provides its own hosting. This main site now runs on several dedicated servers, both running CentOS Linux and using Lighttpd, PHP 5.1 and MySQL 5, the latest technology available. We use a modified version of Mephisto. A separate server houses our forums and our chat room runs on yet another. This latest version of the site debuted in July, 2007, and was conceptualized and designed by TLC Creative Director John Noe and programmed ground-up by Head Programmer Nick Poulden, assisted by Leaky Programmer Alex Robbin. J.K. Rowling, author of the Harry Potter books, has called Leaky “my favorite fan site” and “a wonderfully well-designed mine of accurate information on all things Harry Potter” that “attracts a lot of knowledgeable and entertaining debate.” She said it is about “the worst kept secret on this website that I am a huge fan.” (We’re still grinning.) 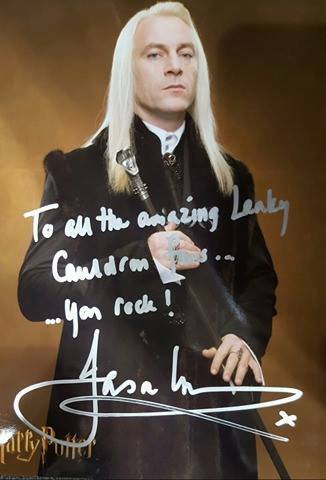 Leaky has been recognized in several ways over the years, but received its highest honor to date, J.K. Rowling’s Fan Site Award, on May 13, 2005. This personal recognition from the author of Harry Potter is a huge and cherished honor to us all. On the same day, Ms. Rowling announced that she had invited Melissa Anelli to Scotland to interview her alongside Emerson Spartz of MuggleNet; this interview was one of only three she granted in the leadup to the book (the others were to Katie Couric and TIME Magazine, not including a press conference with children she did the following day). The interview took place at her home in Edinburgh on July 16, 2005, the day that the sixth Harry Potter book was released; results may be read here with Melissa’s report of the weekend here. Leaky went online in July, 2000, right before the fourth Harry Potter book, Harry Potter and the Goblet of Fire, was released to manic response worldwide. At the time it was one of the very few sites (and is the only one from that time still operating today) to chronicle all media happenings, giving fans links to external articles about Potter. In 2001, Leaky became the first Harry Potter fans to start reporting on the franchise themselves, as the first fan site to create and maintain relationships with the main companies in charge of producing the Potter films and books, a practice which has opened doors to allow many fan sites to do the same today. 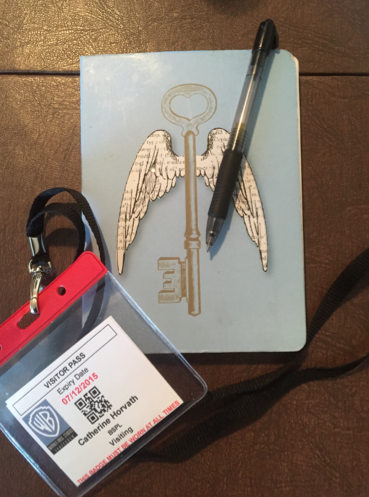 Leaky is proud to have been the first and only Potter fans to report from the Chamber of Secrets movie junket and Prisoner of Azkaban film set, and to have continued to produce original reporting and a lengthy list of exclusive interviews with the people involved in the Harry Potter books and films. Today, instead of one rolling page of all the news, fans can browse more than 220 categories, or they can listen to PotterCast, our (semi-regular) podcast hosted by Melissa, John and Frak, covering the latest in Harry Potter and features analysis, discussion, and has historically offered a consistent stream of interviews with the cast and crew, films and editors of the books. News and interviews that appear in this podcast very often contain news and information that goes unreported anywhere else. Fans can now use this site to leaf through interviews, reports from the film sets and movie reviews; compare trailers to their book counterparts with our shot-by-shot analyses; find information on Harry Potter-related events at PotterParties.com. Leaky’s interview archive is one of the things of which it is most proud. Besides Jo Rowling, we have interviewed people associated with every corner of the Harry Potter franchise and fandom: The producers and directors of all eight Potter films and all Fantastic Beasts films; the executives at Bloomsbury and Scholastic; the companies that produce the books in the U.K. and America; many actors from the film from the main trio of actors (Daniel Radcliffe, Emma Watson, Rupert Grint) straight down the line to extras and fans, as well as actors from Fantastic Beasts (Eddie Redmayne, Dan Fogler, Katherine Waterston, Alison Sudol, Ezra Miller, Colin Farrell, Jessica Williams and more). We've also spoken to Lead Prop Maker Pierre Bohanna, Choreographer Paul Harris, Fanastic Beasts costume designer Colleen Atwood, composer James Howard Newton, graphic design duo Miraphora Mina and Eduardo Lima (MinaLima), and many more of the talented crew behind the films. Cursed Child interviews have included members of the original West End cast, as well as playwright Jack Thorne and scenic designer, Christine Jones. We've also reported exclusively as press from global conventions where cast and crew members have been in attendance, including MCM London Comic Con, London Film and Comic Con, San Diego Comic Con and Planet Comicon Kansas City. Leaky has also reported from almost all Harry Potter movie premieres and press junkets, the Fantastic Beasts and Where to Find Them movie premiere and press junket, the official Broadway Cursed Child red carpet premiere, DVD and book launches, readings with J.K. Rowling, live events with film actors (Matthew Lewis, Jamie Waylett, Devon Murray, Alfie Enoch, Bonnie Wright, Katie Leung, Evanna Lynch, Natalia Tena, Stan Yanevski, James and Oliver Phelps), A Celebration of Harry Potter, live performances of the Harry Potter cinematic score by CineConcerts, West End and Broadway performances starring Harry Potter actors, and much more. We've visited the set of Harry Potter films and the Fantastic Beasts films, and we're proud to say that as of 2018, we continue to offer exclusive coverage from all corners of the wizarding world! 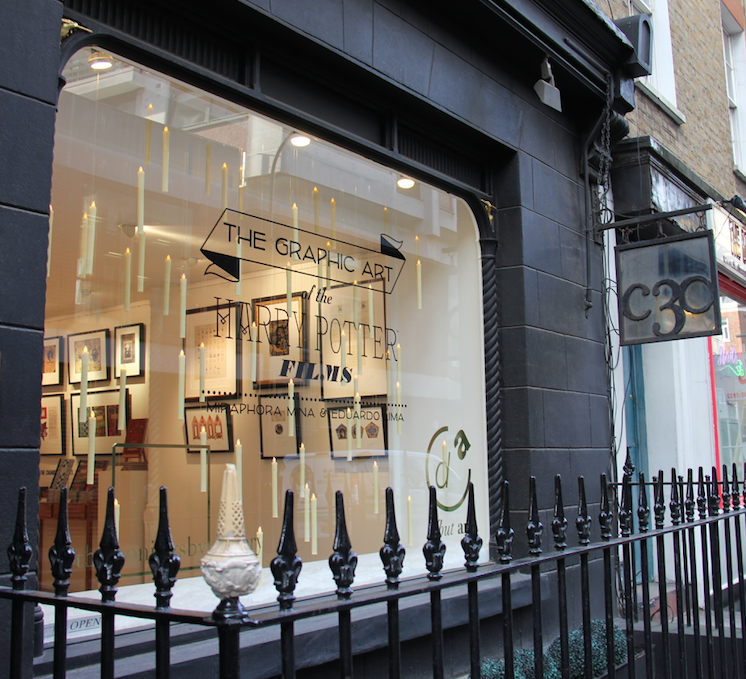 Below: An interview with MinaLima at the Graphic Art of the Harry Potter Films Exhibition. One of the most exciting aspects of the site is PotterCast, our semi-regular podcast, which reached #1 on the iTunes music directory in its first two days online, and has been in the Top 100 the majority of the time since. It is the only Potter-related podcast to interview those involved with the production of the books and films, including main actors, directors, crew members and publishers. The show also features recaps and analysis of Potter characters, plot elements, news and more; it interviews a new fan every week, answers readers’ questions about the book series, and has had exclusive information about the Goblet of Fire premieres and after-parties as well. 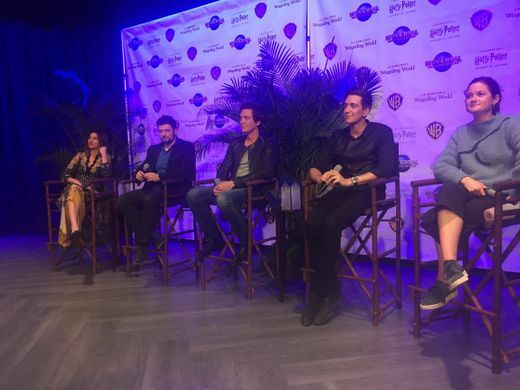 It was one of the only podcasts online to produce a call-in show, and teamed up with MuggleCast to produce a live podcast in New York City following the Goblet of Fire premiere that was attended by over 700 fans. The show engendered a very active fan discussion in our old fan discussion forum, Leaky Lounge. Be sure to catch Leaky's new news segment in the latest PotterCast episodes! Leaky has been honoured to bring our readers into the publication of the last Potter book, the release of the last three Potter films, and beyond to the release of Fantastic Beasts and the opening of the Olivier-winning West End production and Tony Award-winning Broadway production of Cursed Child, The Warner Bros Studio Tour, The House of MinaLima, visit The Wizarding World of Harry Potter as the parks continue to develop, and report live from A Celebration of Harry Potter. We've also given exclusive coverage from LeakyCon, which continues to be the biggest and best Harry Potter fan convention to this day. Above: In recent times, Leaky has reported from exclusive Fantastic Beasts set visits, global fan events, press junkets and, of course, red carpet premieres. 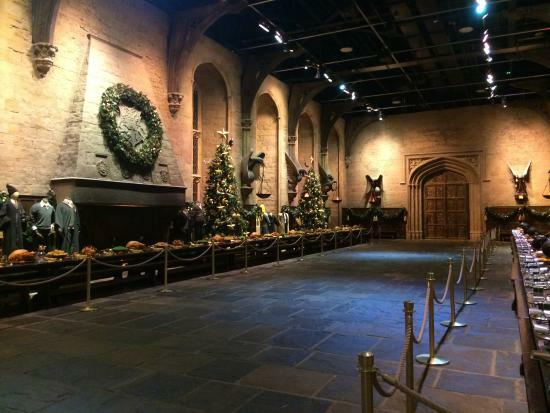 We've also had the pleasure of attending global Harry Potter fan events, such as A Celebration of Harry Potter. 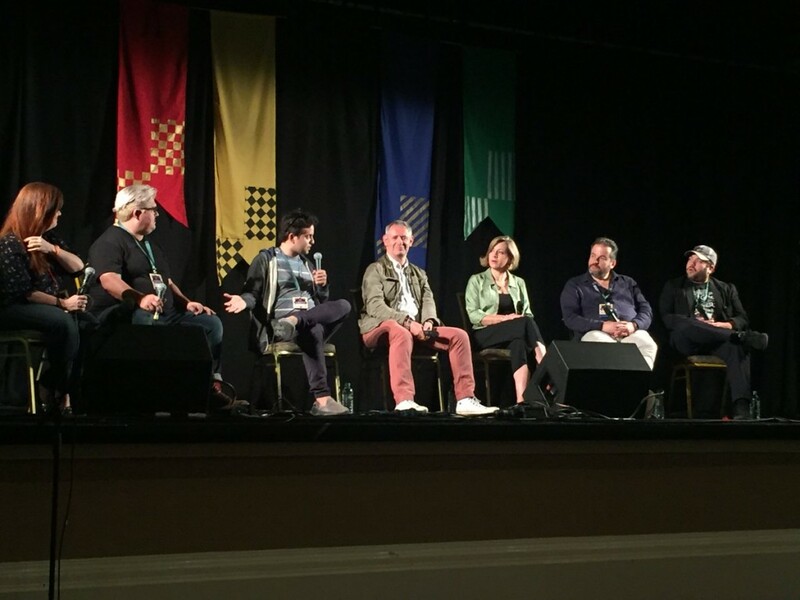 Below: PotterCast alongside Fantastic Beasts star Dan Fogler, as well as crew members Pierre Bohanna (Head Prop Maker), Jim Cornish (Storyboarder) & graphic design duo MinaLima on the Fantastic Beasts panel at LeakyCon 2017. As the Wizarding World franchise continues to expand, we look forward to bringing updates, exclusive interviews and upcoming set reports, and hosting discussions and publishing fan theories in the run up to Fantastic Beasts: The Crimes of Grindelwald. We eagerly await the final three Fantastic Beasts films, future Cursed Child companies and any and all future developments. Thanks for following Leaky's journey! Read more about our team and how to contact us here.